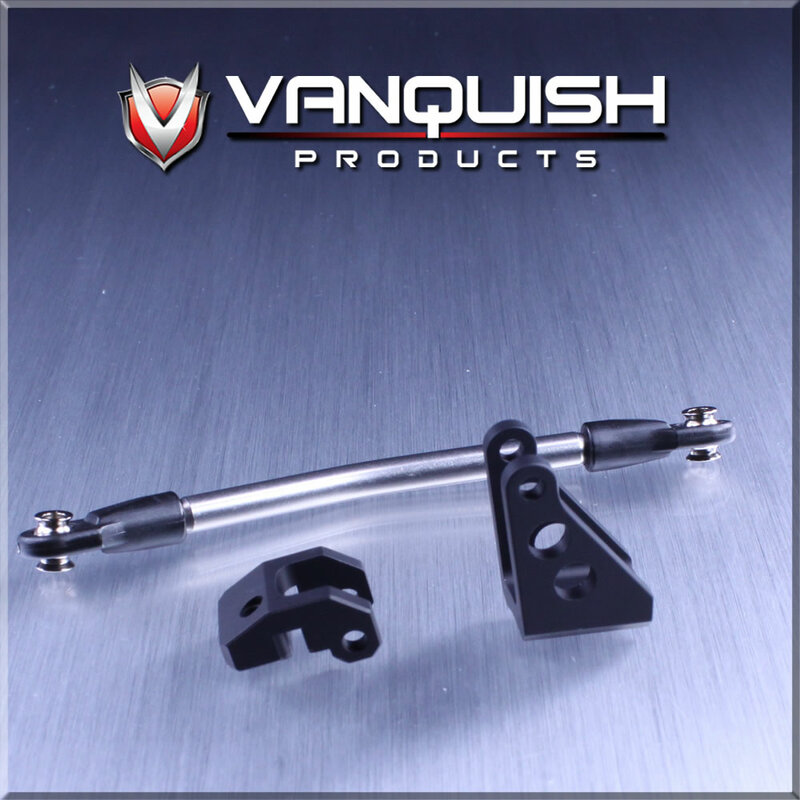 Vanquish Products has released a Front Bumper/CMS (Center Mounted Servo) Mount (top picture) for the Axial SCX-10. The Front Bumper/CMS Mount can be used as a upgrade/replacement bumper for the SCX-10 while keeping the servo in the stock position. The Front Bumper/CMS Mount is available in two colors: Black (VPS06872) or Silver (VPS06871). To use a servo in the Center Mounted Servo Mount, a few parts are required. 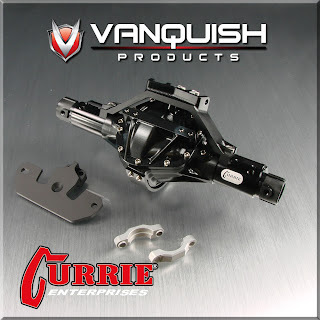 The Currie Rockjock SCX-10 Front Axle (middle picture), the SCX-JK Panhard Bar for the SCX Currie Axle (bottom picture), and a Drag Link (not pictured) are required. Part numbers for the Currie Rockjoc SCX-10 Front Axle are: Black (VPS06601), Grey (VPS06603), and Silver (VPS6605). 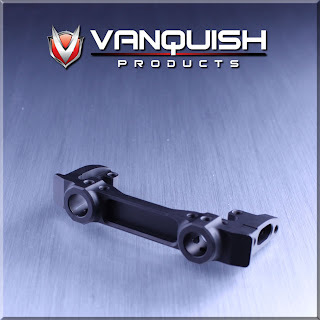 Part numbers for the SCX-JK Panhard Bar are: Black (VPS06851) and Silver (VPS06852).